We are certified to work on all make and models. Proper maintenance is the key to extend the lifespan of your vehicle and to ensure safety and efficiency of older vehicles. Below are some of many services provided by the harry’s auto service. There are multiple moving parts in the engine, it is important to perform regular oil changes to keep these parts lubricated properly. Oil change Saskatoon. Tires are the main contact between the road and your vehicle. Make sure to do a quick walk around the vehicle before you drive off to make sure the tires are properly inflated. Contact us if your tires need to be repaired. 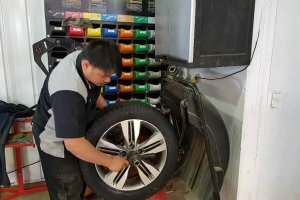 Tire repair Saskatoon. 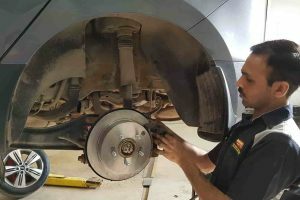 To ensure that the braking system is always in perfect working order, both brake pads and brake discs must be maintained in the best possible condition. Indeed, each time the vehicle brakes, the friction generated causes the material used in both the brake pads and the brake discs to become worn. 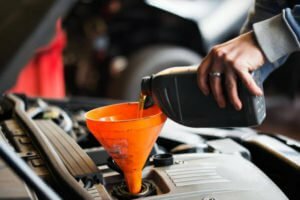 The Check Engine light — more formally known as the Malfunction Indicator Lamp (MIL) — is a signal from the car's engine computer that something is wrong. When a service center tells you they'll do a multi-point inspection, it means they'll be checking your vehicle over in a number of key areas to determine if there's any upkeep that should be performed to keep it performing at optimal levels and improve its longevity. The experts at Tire & Service Network locations use specialized engine diagnosticequipment to troubleshoot and diagnose the exact cause of your vehicle's electrical problems. Depending on the year, make, and model of your car, vehicle electrical system service can include: A visual inspection of you battery and case. Let us take care of your vehicle. We will make sure that you will have a better understanding of what your vehicle needs. Take your broken vehicle to us at Harry's Auto Services.